During his formative years, Tal Yanai was not happy with his reality. What he was creating in his life was not in alignment with what he wanted in his heart or what he knew and deeply felt was possible. As a struggling student, he was considered a troublemaker in school. Then one day, during a bike trip from the kibbutz to the sea, he was asked to take charge and make sure none of the other kids lagged behind. For the first time in his life, at age fifteen, Tal got a taste of what it meant to assume responsibility and be a leader. This one experience planted the seed for his goal to assume a leadership role in his later life. After finishing high school, having been raised on Kibbutz, Einat, Israel, he volunteered to serve as a leader in the Kibbutzim Youth Movement, which focused on principles such as volunteering, mutual help, and giving to one’s community and country. In tenth grade he was diagnosed with dyslexia, which explained his learning difficulties but it did little to ease his frustration with himself and his everyday struggles. He had no mentors he could confide in or look up to. And no matter how hard his parents tried, his living on a kibbutz meant they had little influence during his teenager years. At the age of twenty-three, when he moved to the U.S., Tal found solace in a higher power and started on a spiritual path, which has led him to align himself with his soul’s essence and mission. For two years he worked as an historical analyst at the Survivors of the Shoah Visual History Foundation, established by Steven Spielberg after the filming of Schindler’s List. As part of his job, he listened every day to testimonies of Holocaust survivors. Many were children or teenagers during WWII and their stories greatly influenced Tal’s decision to become involved with educating youth, so he proceeded to get his Teaching Credential in Social Studies. Bringing two wonderful children into the world gave him a new sense of urgency to share and teach everything he’s learned about God and spirituality. 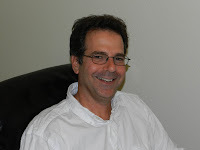 Today, Tal teaches Hebrew and Judaic Studies in Temple Beth Hillel in the San Fernando Valley as he continues his quest to explore the meaning of soul and achieve his full potential as a spiritual teacher. Kai: It is nice to have you with us today, Tal. Let’s talk about your book. What age range is it for? 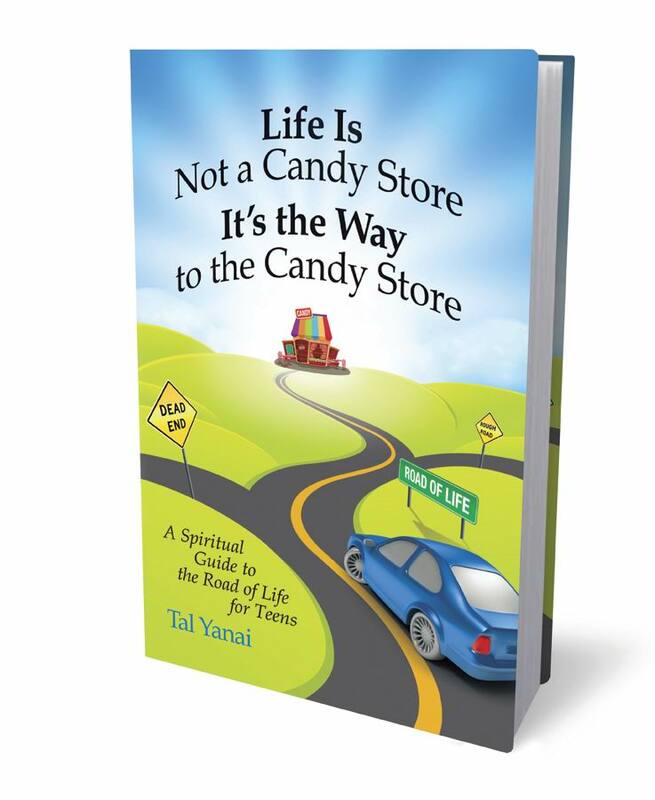 Tal: I wrote my book, Life Is Not a Candy Store: It’s the Way to the Candy Store, for teenagers (ages 12-19), but from comments I received so far, parents are also enjoying the reading. Tal: Growing up in a small community called “Kibbutz” in Israel left me with many wonderful memories which came from the freedom I had to explore life around me. However, because I was (and still am) a struggling student, I also have many memories of being frustrated and angry with myself and others. Tal: The biggest change in the life of teenagers today is the role technology plays and the, almost, unlimited exposure teens have to the world around them. Tal: What is still the same is human nature; teens today face the same difficult transformation process from being kids to becoming adults as other teens have faced throughout human history. Tal: As a teenager I spent much of my time on the soccer field. It’s where I found joy, doing something I was good at. Kai: What inspired, Life Is Not a Candy Store: It’s the Way to the Candy Store, and how did you decide on this age range for your book? Tal: What inspired this book is seeing the pain we cause each other when we act in selfish ways, not thinking about the consequences to others and ourselves. This is true for people in all ages, but as a father and as a teacher it was important for me to pass my message to teens first. And there is another reason I decided to write this book; when I was a teen, I felt frustrated and trapped. But after finding the road to an emotional and spiritual freedom, I decided to “share the news” with teens who feel the same way I felt. Kai: Finally, I have four kids. Over the years, they’ve attended a lot of birthday parties. I love the idea of building a theme gift around a book. 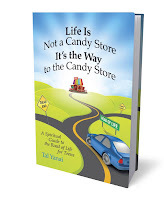 If you were to give a gift basket to a child based on your book, what else would be in the basket besides, Life Is Not a Candy Store: It’s the Way to the Candy Store? Kai: Tal, that gift sounds lovely! I hope our readers use that idea next time they are preparing a gift for a teen. Best of luck with your book, Tal. Thank you again for joining us on Strands of Thought. Thanks for hosting Tal and sharing about his book. It was my pleasure, Virginia. Tal is so interesting and he really cares that kids learn good values.